Echinacea has received a lot of press as an immune booster in the last few years – and while that is true, there are also many more uses many people don’t know about! It’s not known exactly how it does the job, but it is thought that cannabinoids that are present in the plant are similar to those found in marijuana, which has been used for this same purpose. 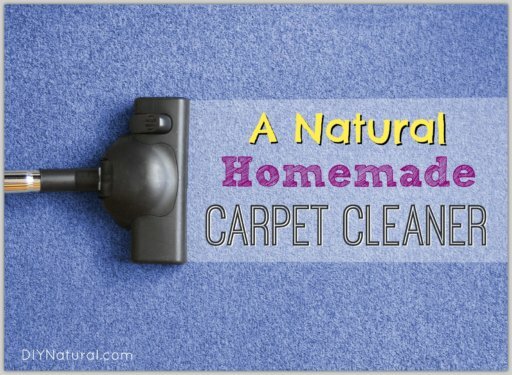 This has been the main use of echinacea for many years. For centuries, dating back to the 1500’s, echinacea has been used by Plains Native Americans such as Kiowa and Lakota, as a treatment for headaches and other body pain. Echinacea is being used experimentally to reduce the size of tumors. In trials, it’s been found to be effective in some types of cancer. The same study showed that if you do catch a cold, the severity is greatly diminished by using the dried root. It also showed that taking the same amount of dried root decreased the duration of a cold by up to two weeks. 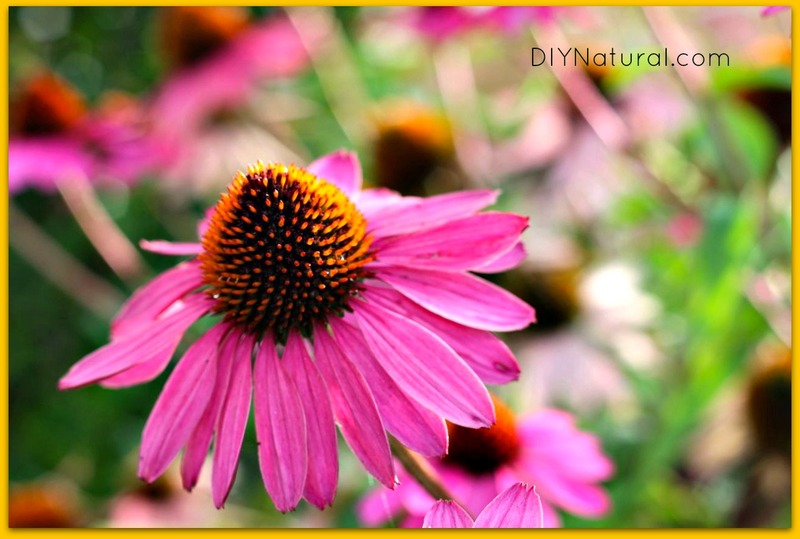 Echinacea has been shown to reduce inflammation in injuries. The use of echinacea can help prevent sunburn, and if overexposed to the sun, can help to treat the damage. 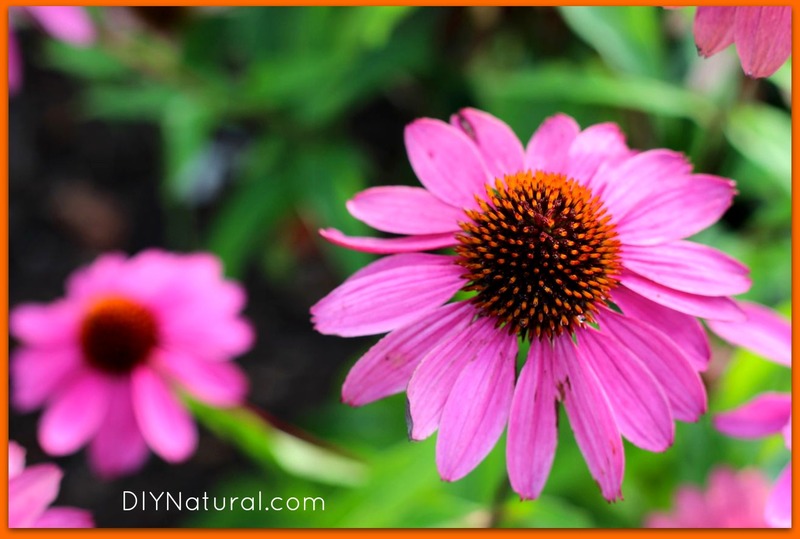 It’s possible that echinacea can help to prevent staph, strep and other systemic diseases. Despite the prickly appearance, bees and butterflies flock to it. It’s a great garden plant. While echinacea can be used for many things, we must remember that many factors can come into play. Growing conditions can greatly affect which constituents (and how much of these) are present in each plant. Location and growing practice can also be factors. Subspecies and type of plant can make a difference as well. Some hybrids are pretty, but don’t contain as much active compounds as others. The main constituents that occur are polysaccharides, alkylamides and chicoric acid. Echinecea purpurea and E. angustifolia have the most active compounds. There is still some in all of the echinaceas, but not as much. To determine if the compounds are present, wash a section of the root, cut it and touch it to your tongue. If you get a slight fizzing or tingling sensation, this is one of the better plants to use. The type of dosage taken can vary results as well. To be effective, most citations recommend a dosage of three grams of dried root. This can be taken as a capsule or tablet. Tinctures and teas can also work, though not as well due to decreased amount of compounds present. One of the most effective forms that I’ve used is this phytogel capsule. The compounds are extracted and placed in a capsule. Because it is a gel, not a powder, the active compounds are able to get into the bloodstream much faster than traditional methods. There are some drawbacks to taking echinacea. 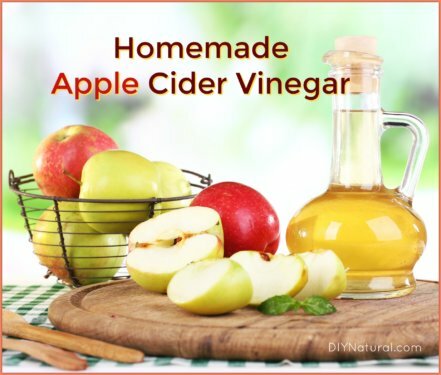 Because it is an immune booster, it can cause the body to become immune to itself. For the best effectiveness, it’s recommended that you take it for no more than two weeks, discontinue use for a week and then go back to it for two weeks. This on-again off-again cycle seems to benefit most people. There are also those who have a reaction to it. Although it’s rare, itching, hives, nausea and abdominal pain could occur. And since it has not been studied in children, use in those under 12 years of age is not recommended. This winter, when cold and flu season is upon you, take a look at echinacea. It may be what you’re looking for! 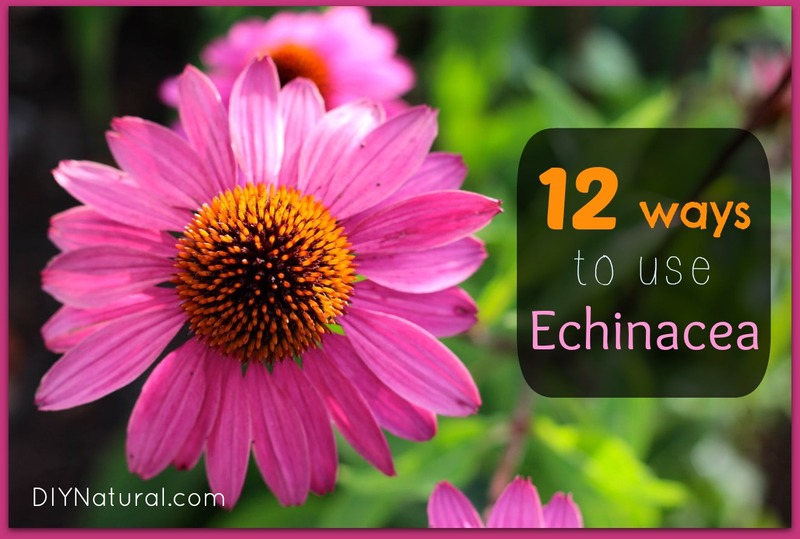 Have you ever used echinacea? I carry my echinacea 24/7/365! As soon as I feel the tickle in my throat that indicates a cold is coming on, I take & repeat as soon as I feel that tickle come back… I haven’t had a cold in 4 years! My mother uses the liquid form, but (for whatever reason) that form doesn’t work for me; however, the capsules with the powdered form work beautifully. If I wake up & the cold is already active, I’ll combine the echinacea with cold snap; it minimizes the symptoms & is gone within a few days. Astragalus is also a staple. Astragalus is a Chinese herb that has the same basic properties as Echinacea, but unlike Echinacea, Astragalus usually does not build an immunity to itself, so it can be taken for a longer duration. 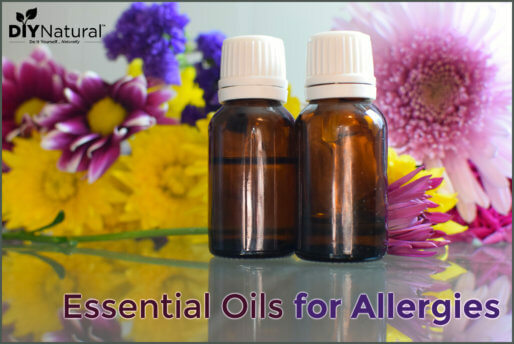 The dosage of Astragalus is varied depending on the person & what allergies they may or may not have. Yes, I have used echinacea before and love it! At the first sign of a cold, I use a dropper in some water and I don’t get the cold or it doesn’t last very long. I’ve used the combination of Echinacea/Golden Seal many times when I first feel a cold or sore throat starting. stopped a full blown head/chest cold in it’s tracks. But if I’ve waited 12+ hrs to start taking it, it only seems to prolong the virus in my body. I’ve wondered if the strength of a virus makes the difference of it working or not too.